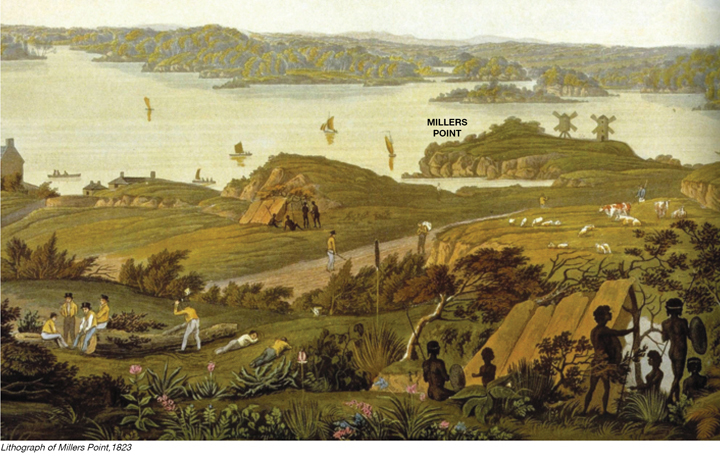 Inspiration for Barangaroo is provided by historical maps and early paintings, such as the Panorama of Sydney made by Major Taylor in 1822. 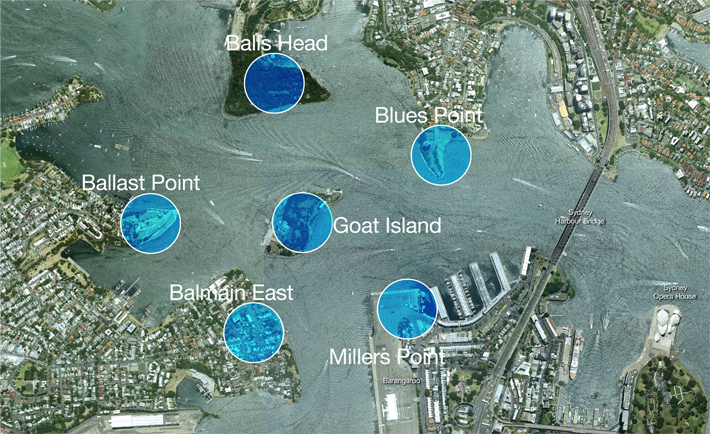 Early images combined with geomorphologic studies provide solid clues about Millers Point’s original headland form. Millers Point, the residential neighborhood that includes Barangaroo, has heritage elements from the pre-industrial, industrial, and post-industrial eras. The two entries of Headland Park - Town Place and Argyle Place sustain a Colonial atmosphere through buildings and a pedestrian-oriented public domain. Formerly known as Darling Harbor East, the site is located along Sydney Harbor in the western side of Sydney’s Central Business District. Barangaroo reinforces a continuous Sydney Harbor Circle Walk. When the Barangaroo link is completed, people will enjoy an uninterrupted 14-kilometer foreshore walk from Woolloomooloo to the Anzac Bridge. The Circle Walk includes the Sydney Harbor Bridge, Darling Harbor, the ANZAC and Iron Cove Bridges, and Milsons Point. After 1836 the original headland and foreshore were cut away to create space for wharves and maritime industrialization, a process that continued through the 1960s. The transformation of Barangaroo restores the relationship between the natural archipelago of islands and headlands in Sydney Harbor and acknowledges the importance of indigenous history before European settlement. The re-creation of the harbor headland gives the site clear access to the harbor. Barangaroo aims to bring all parts of Sydney together: east, west, north, and south. 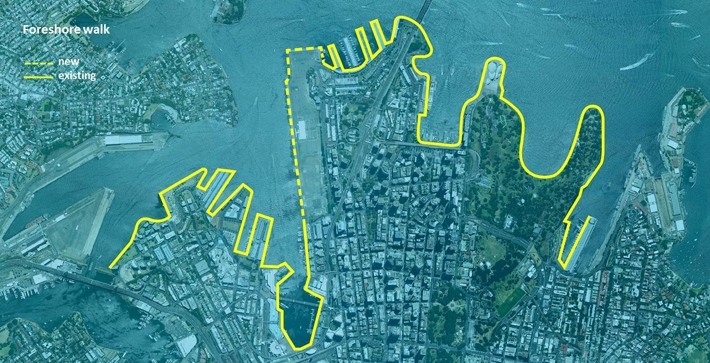 Most importantly, the continuous waterfront foreshore reconnects Walsh Bay to Kings Wharf, repairing the east-west connection missing from the city. 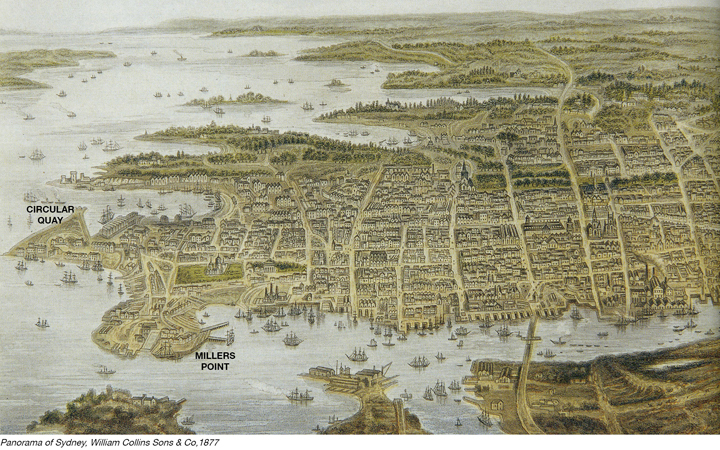 Additionally, reconnecting Millers Point to the waterfront re-establishes Sydney’s first neighborhood as one of contemporary and historic significance. 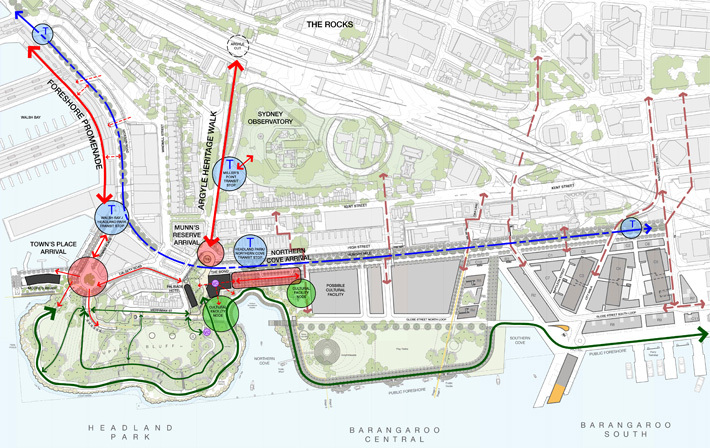 Comprehensive east-west pedestrian routes connect all parts of Barangaroo, while a new ferry terminal, dedicated bicycle paths, and light rail further increase accessibility from other parts of the city. The Barangaroo Public Domain accommodates a wide variety of public activities and opportunities, from intimate nature walks to active recreation and picnics and a schedule of festivals, concerts, and New Year’s Eve events. All the potential uses are connected by the Foreshore Promenade, which also engages waterside activity.